Meg Keneally is no stranger to good storytelling – it’s literally in her blood. She is one half of the father-daughter duo behind the Monsarrat books, a historical crime series set in the Port Macquarie penal settlement that she writes with Tom Keneally. Having been raised on a litany of fantastical stories as a child, it’s no surprise that Meg has proven herself to be a formidable literary talent in her own right. 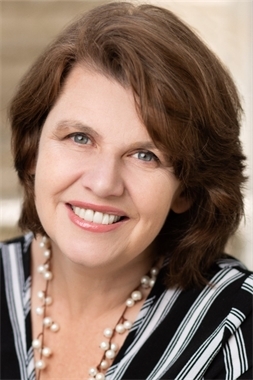 That talent is one she is now extending to her first solo novel Fled, an epic historical adventure based on the life of Mary Bryant. A convicted highwaywoman and thief, Bryant was one of Australia’s most infamous convict runaways, escaping the New South Wales penal colony in 1791 with her family after fearing that they would die of starvation. They fled to West Timor and posed as shipwreck victims, before eventually being outed as criminals and sent back to Britain. Mary was eventually pardoned for her crimes. This phenomenal story is one of the most widely known from that era, and Meg Keneally has breathed new life into it for a whole new generation of readers. 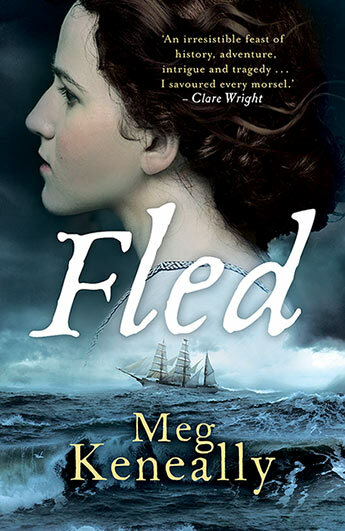 In Fled, Mary Bryant is vividly reimagined as Jenny Trelawney, a savvy convict who hatches a daring plan of escape by sea after famine hits the penal colony where she is serving her sentence. On her journey, she discovers a resilience born of desperation that leads her to fight for not only her own life, but the lives of her family. 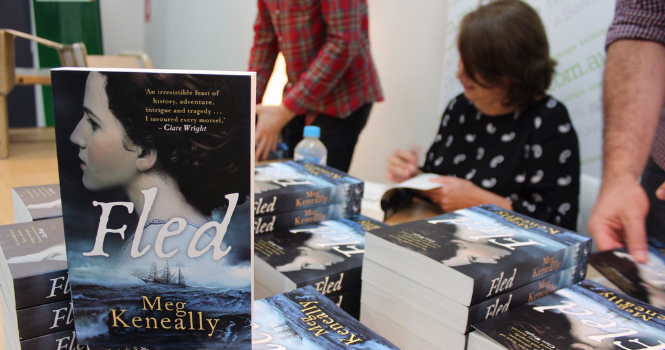 Meg Keneally hard at work signing copies of Fled. This is an extraordinary story of survival that is almost too fantastic to be believed, yet is entirely based on true events. This week, we sat down with Meg for a fascinating discussion about Fled and the challenges of writing fact as fiction. Meg was faced with the unique challenge of portraying the thoughts and emotions of a woman who was largely illiterate and of whom no personal records exist. This was a major factor in her decision to fictionalise the story, rather than write a biography. John Purcell and I sat down with Meg Keneally to chat about all of this and more in our podcast – check it out below.